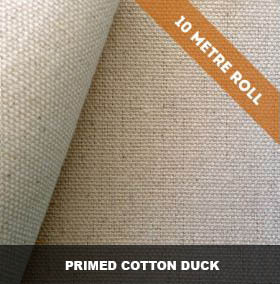 Triple Primed Cotton Duck Canvas Varieties in 10 metre lengths. 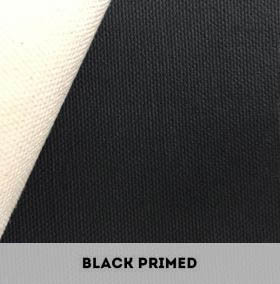 We now offer some of our favourite primed cotton canvases in easy to handle 10 metre rolls. 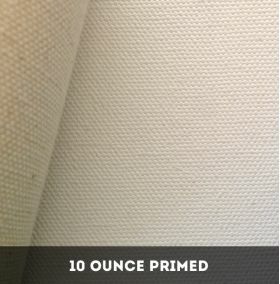 Our Cotton Duck Canvas is grown and woven in India – machine primed with three coats of archival acrylic gesso that gives a nice tooth perfect for any media – charcoal, ink, acrylic and oil paint. Please note: Freight costs may differ slightly to some regional areas. If this is the case we will contact you with an amended price. If you are concerned, please Contact Us for an accurate freight cost. 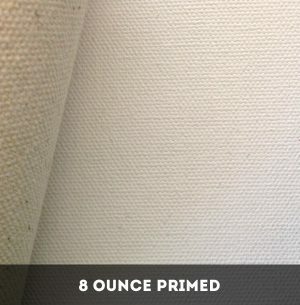 Need a sample before buying?